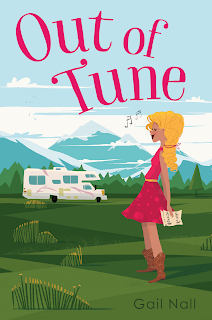 Kidliterati: Happy book birthday, OUT OF TUNE! 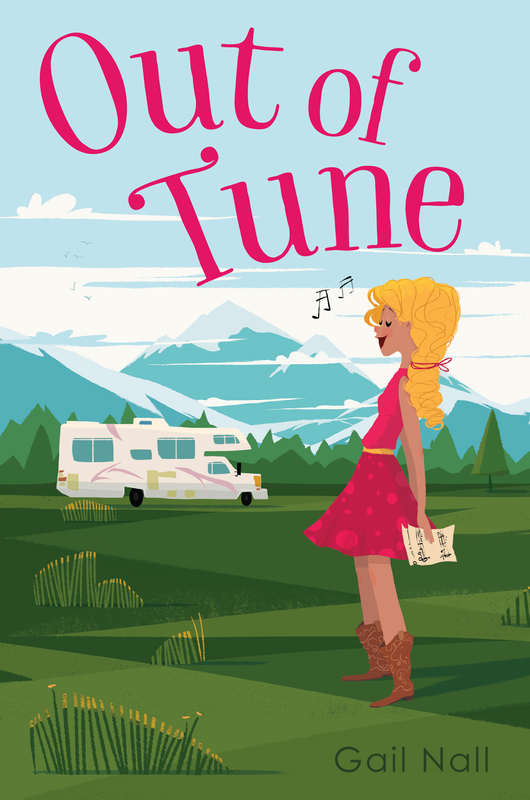 Happy book birthday, OUT OF TUNE! Hi everyone! It's release day for my new middle grade novel, OUT OF TUNE! Eleven-year-old Gail, totally ready for a road trip. At its heart, OUT OF TUNE is a road trip book. And I loooove me a good road trip. 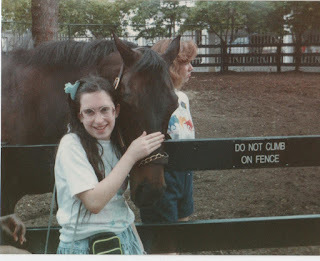 When I was a kid, my parents rounded up my sister and I (and a whole bunch of stuff -- and I mean a bunch of stuff. The trunk of that old Delta 88 practically hit the ground) and took three days to drive from Kentucky to visit family in Massachusetts. It was the highlight of my year. So yeah, my little sister got bored and poked my arm incessantly until I freaked out and screamed at her and my mom threatened to turn around and drive us all back home (never mind that we'd be two days into the trip by then). Or that the enormous metal cooler my parents packed with pineapple cream cheese spread and tuna and Orange Crush would dig into my arm the whole day. Or that Ohio boasted the worst traffic jams ever. I loved it. I loved the license plates. The billboards. The motels. Picnics in the median during those standstill traffic jams. The rivers and towns with different names. Reading book after book in the backseat while taking breaks to stare at the scenery. The "Welcome to" state signs. Making up silly songs with my sister. All of it. While a lot of OUT OF TUNE comes from the beautiful, wide-open, truly awesome places out west, the heart of it came from a ten-year-old girl who rode in the back driver's seat of her mom's Delta 88 every summer. The girl who pored over the map because she wanted to go places. Who stared out the window, trying to memorize the way a river wound around a city, or the long, fascinating name of a county in Pennsylvania. picture of Yellowstone. I took this one in 2010. But of course, if I wrote a character who loved everything (minus her bored sister, anyway), that would be one seriously dull book. So instead, I wrote about a girl whose family decides to sell everything and live a nomadic life in the world's ugliest RV. Which, of course, Maya (the main character) refuses to accept. While Maya is desperate to pursue her dream of becoming a country music star (and winds up on a hundred-mile bike ride through Yellowstone National Park to reach that dream), she struggles with the very idea of what home means and where home is. May we all find home. And may the way there not be like a country music song. When twelve-year-old Maya’s parents sell their house and move the family into the world’s ugliest RV to travel the country, Maya’s only goal is to get back home—and fast. No way is she going to miss the chance to audition for Dueling Duets, the singing competition show that’s going to surely propel her—and her cowboy-hatted crush—to country stardom. Operation Maya Goes Home, or OMGH, turns out to be more complicated than she had expected, so Maya sets out on a secret one-day, one-hundred-mile bike ride through Yellowstone National Park with her know-it-all little sister, a cute nature boy, and blue-haired, earbud-addicted Shiver (a.k.a. the most annoying girl ever). Somewhere between the worst muscle ache she’s ever experienced and losing half of their group to a flat tire, Maya starts wondering if maybe, just maybe, it’s possible to find home in the last place you expected.